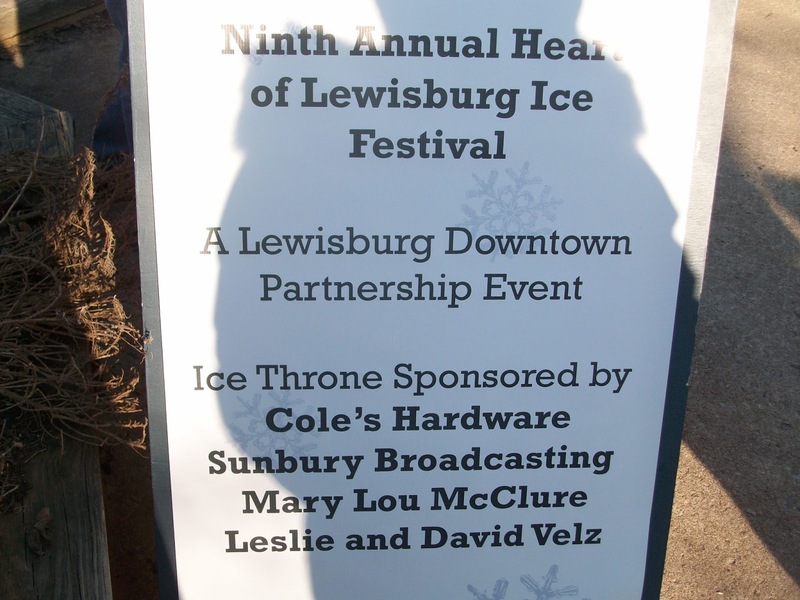 The Lewisburg Ice Festival was a week ago. Last year, I brought my camera downtown and took pictures of the ice sculptures. 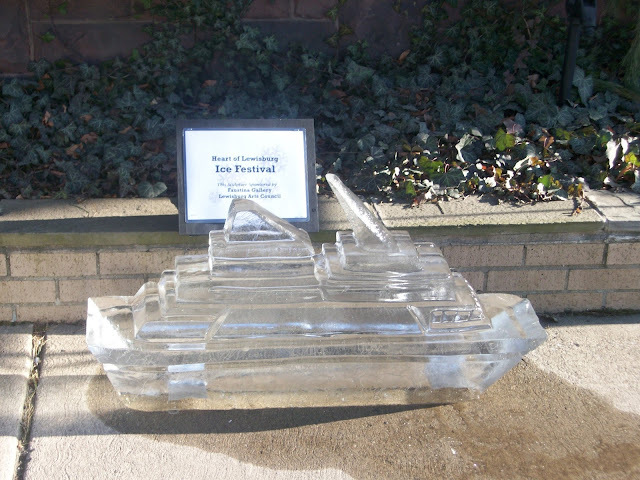 I did not do so this year, but since I didn't post last year's pictures, I thought I'd share them with you. 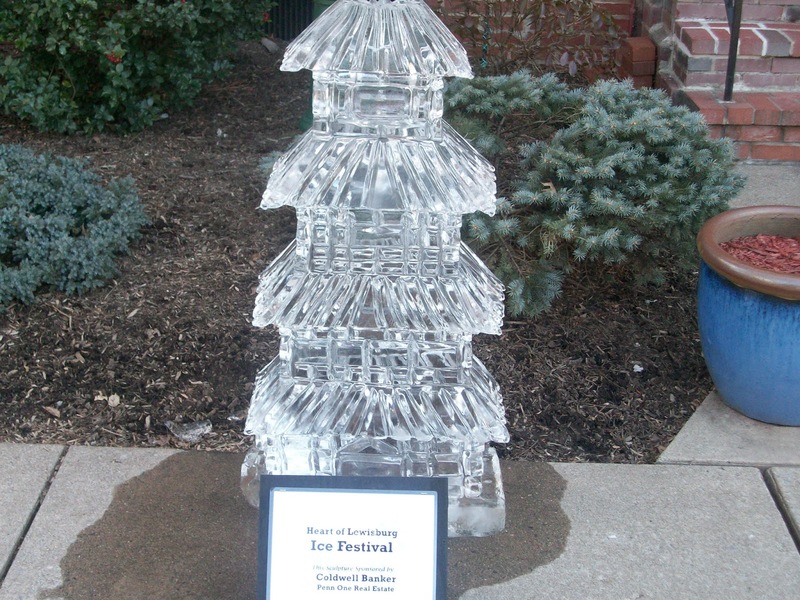 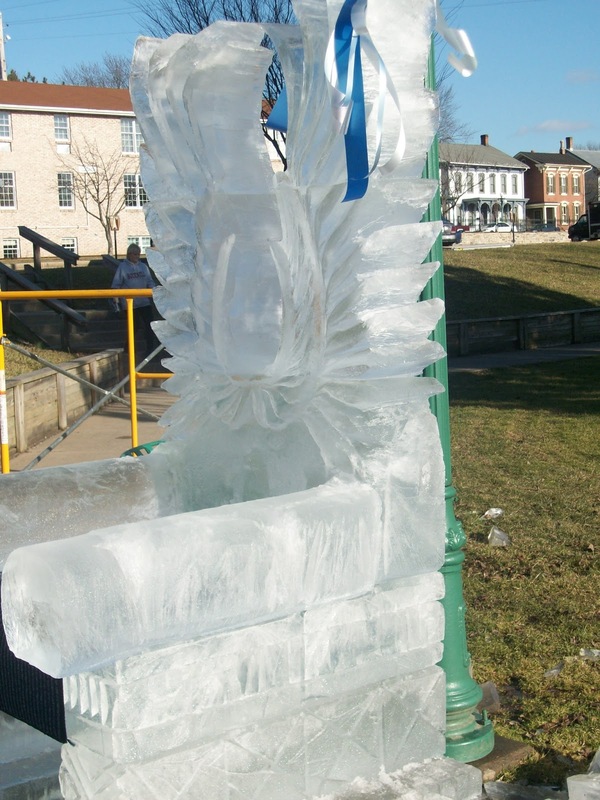 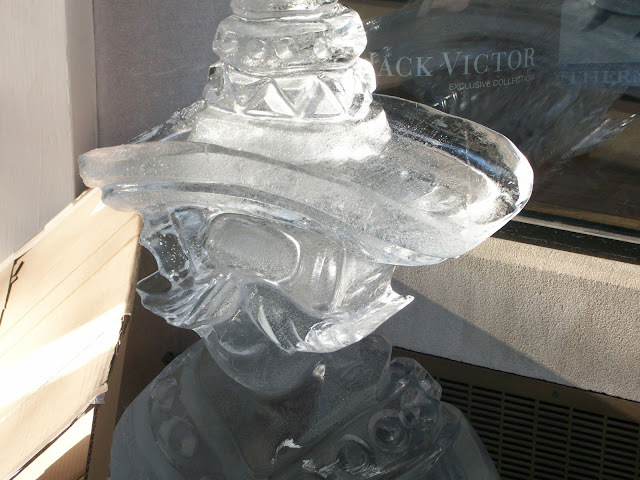 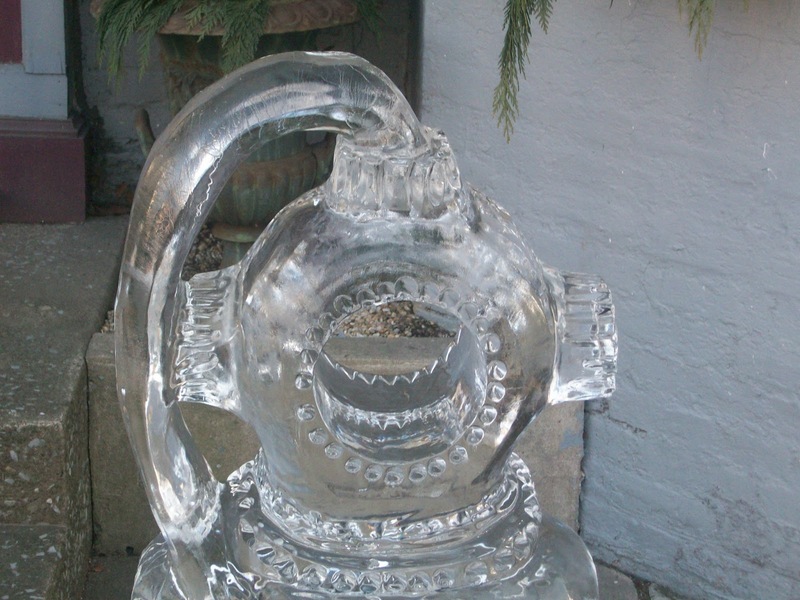 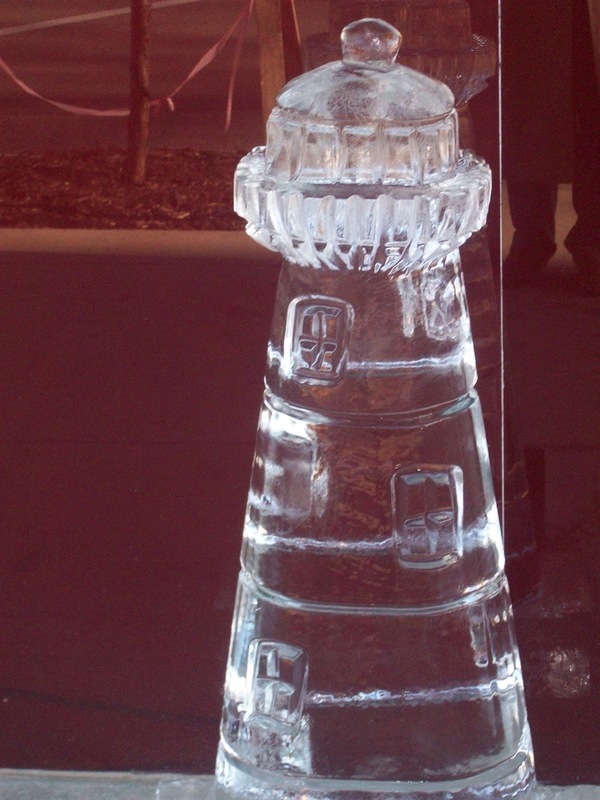 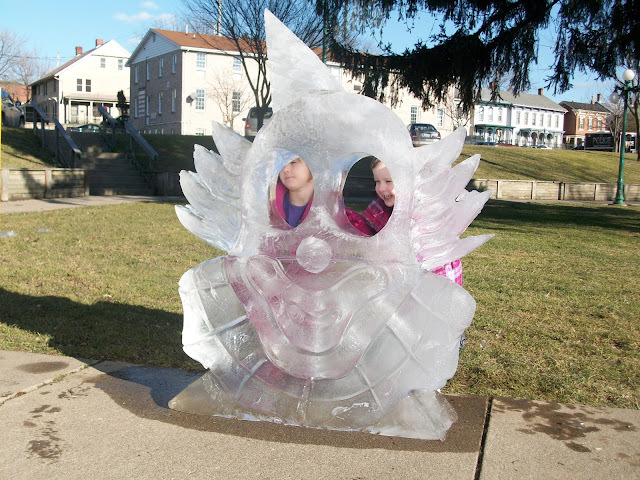 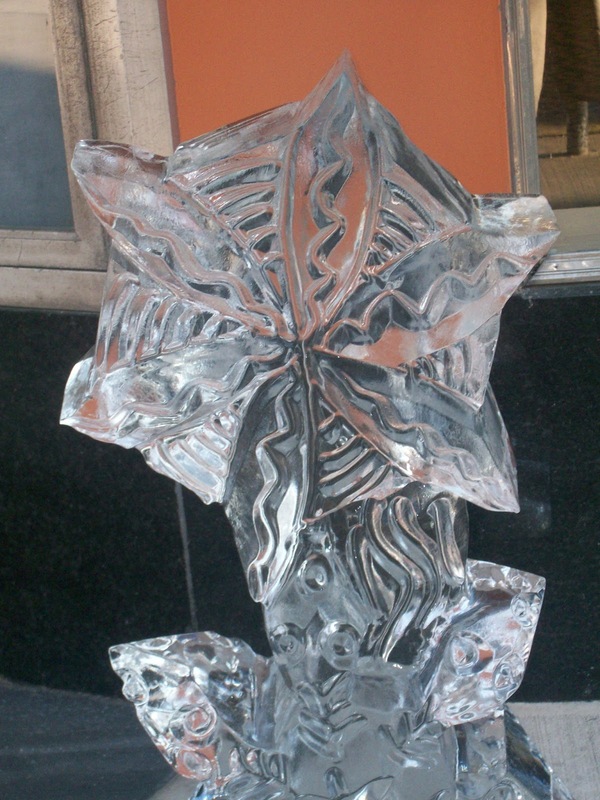 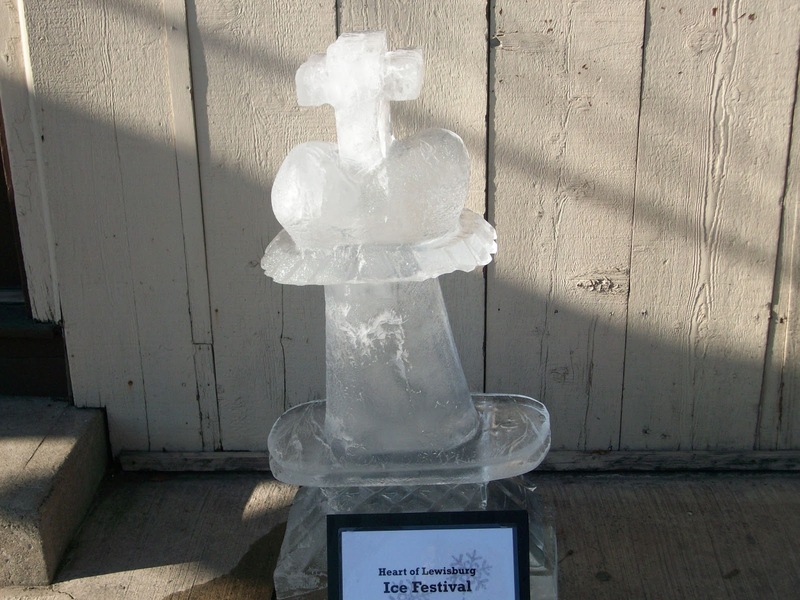 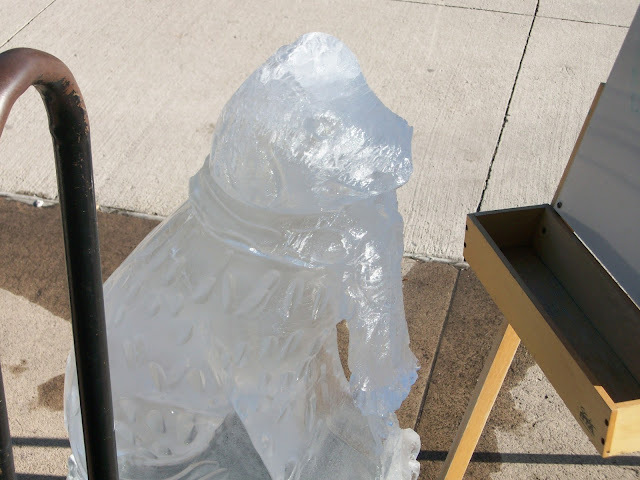 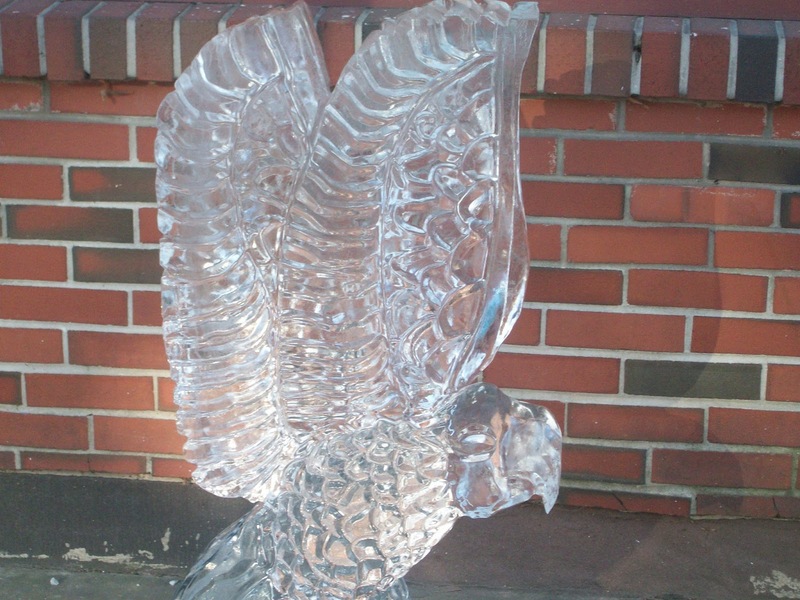 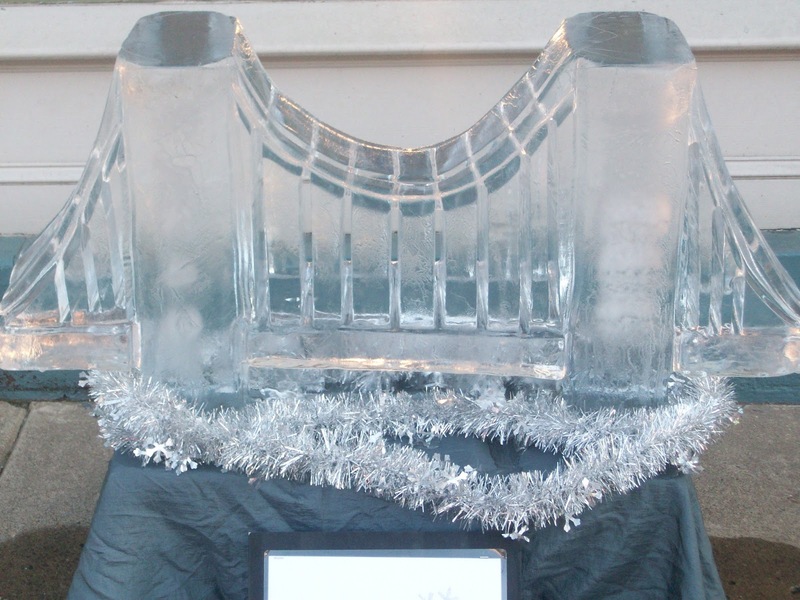 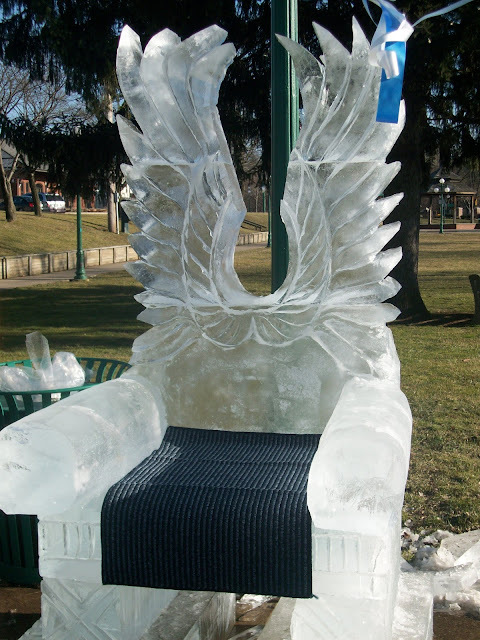 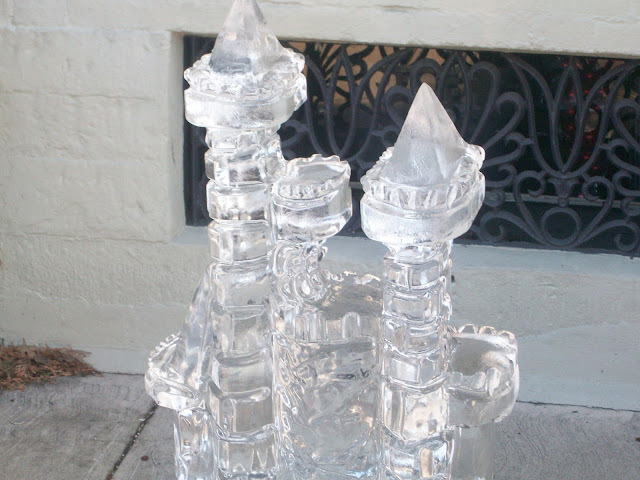 Ice sculptors come to Hufnagle Park on Friday evening and create their frosty sensations! 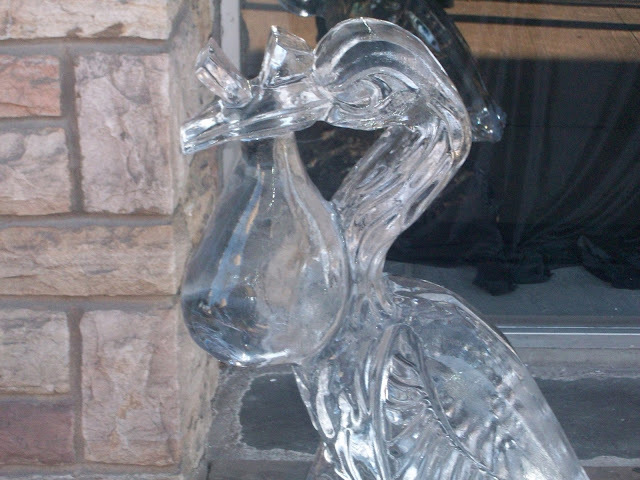 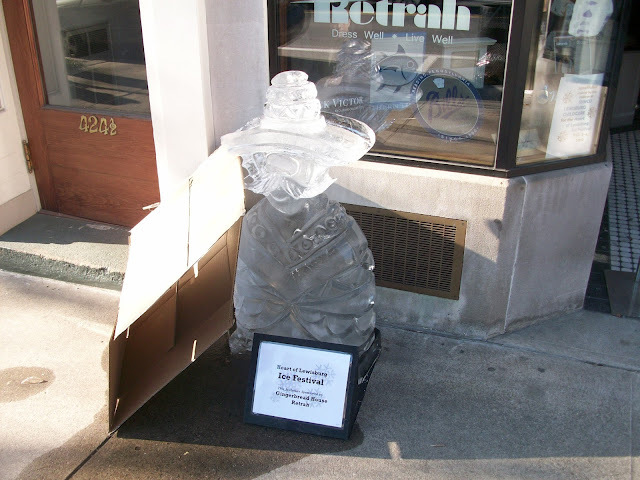 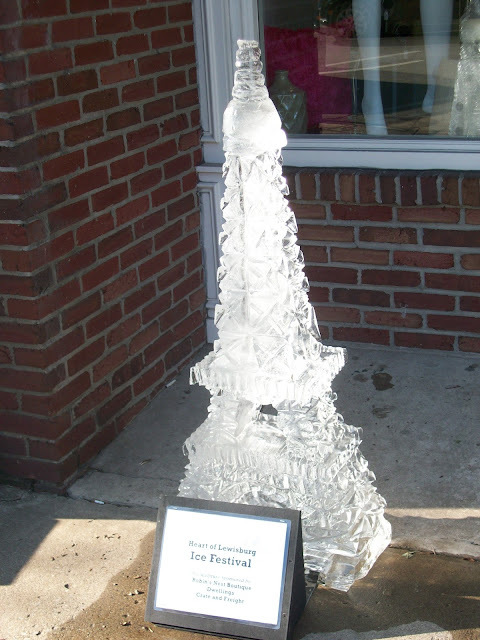 Then, participating Lewisburg businesses host a sculpture in front of their shops. 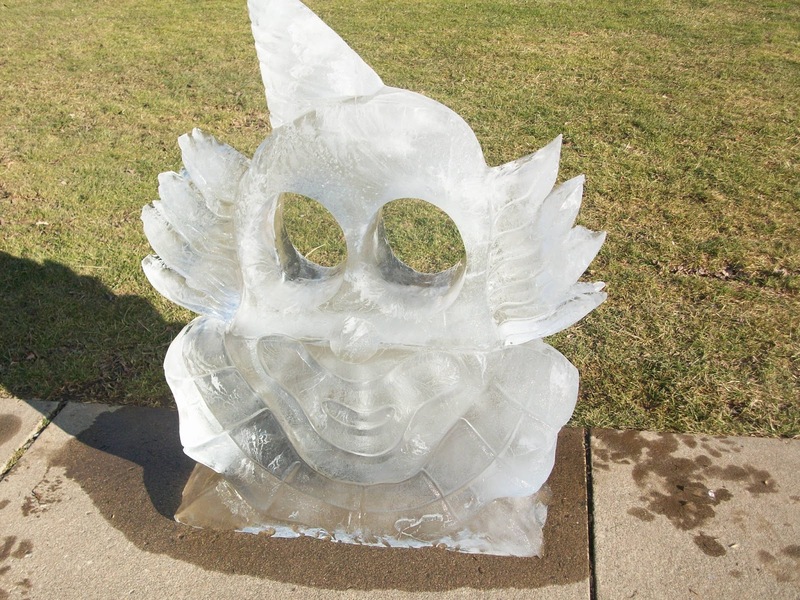 A few ice sculptures in Hufnagle Park invited audience participation, like this clown face. Last year, the weather was pretty warm during the Festival. 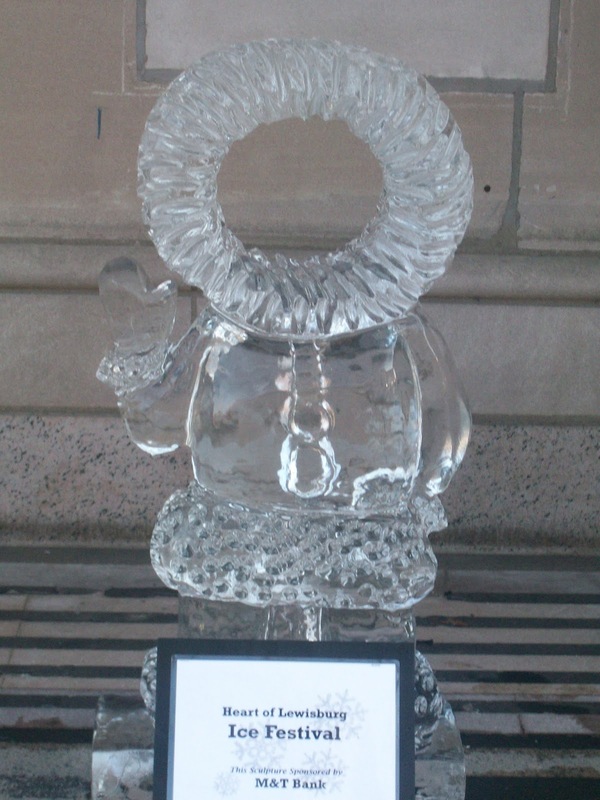 This year has been much colder. 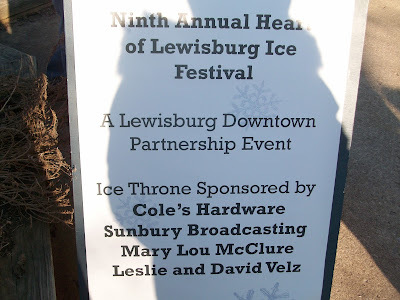 I have to go to downtown Lewisburg tomorrow, and I would not be a bit surprised if many of the sculptures are still intact! If I remember, I'll bring my camera! 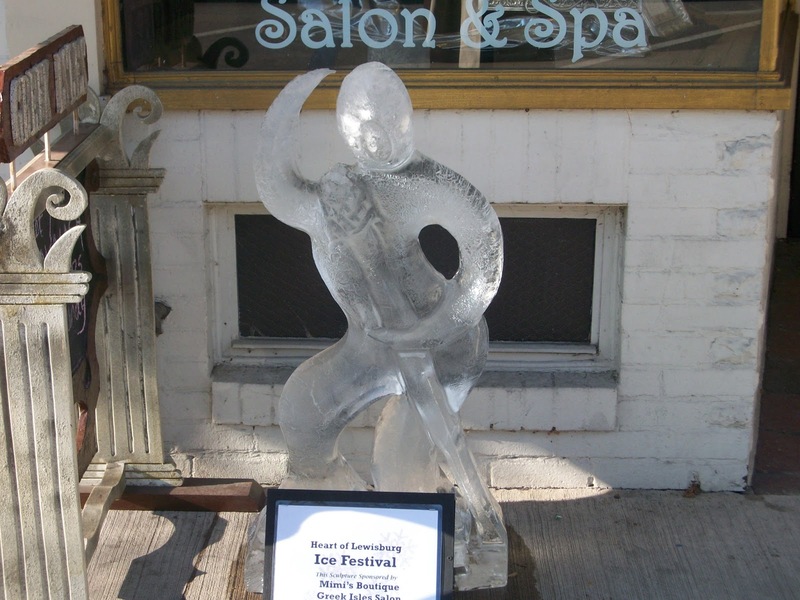 I'm not sure what the sculpture above is supposed to be, but I think it's interesting. 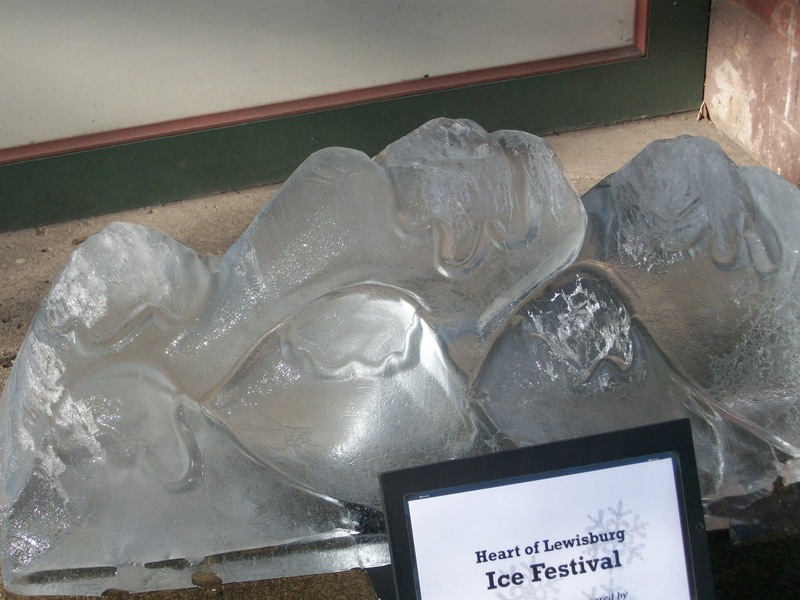 I did end up bringing my camera yesterday to downtown Lewisburg, and lo and behold, many of the ice sculptures were still intact! 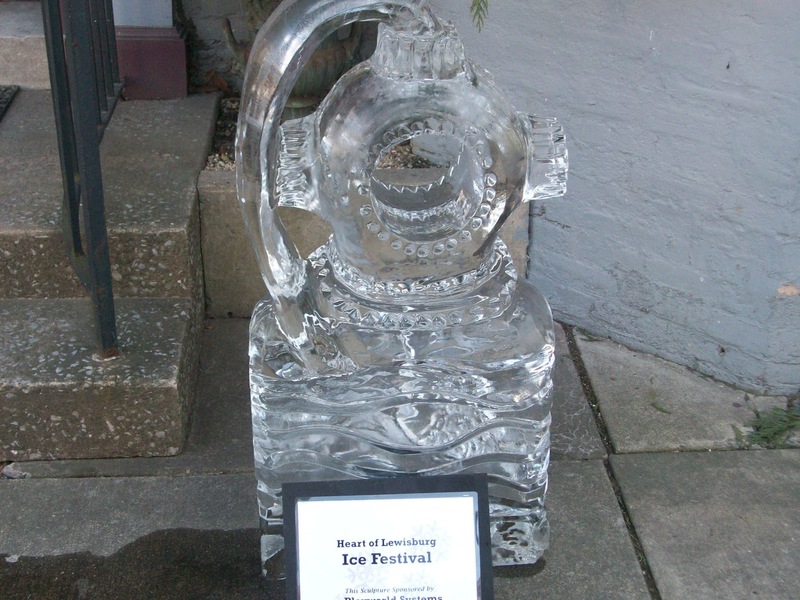 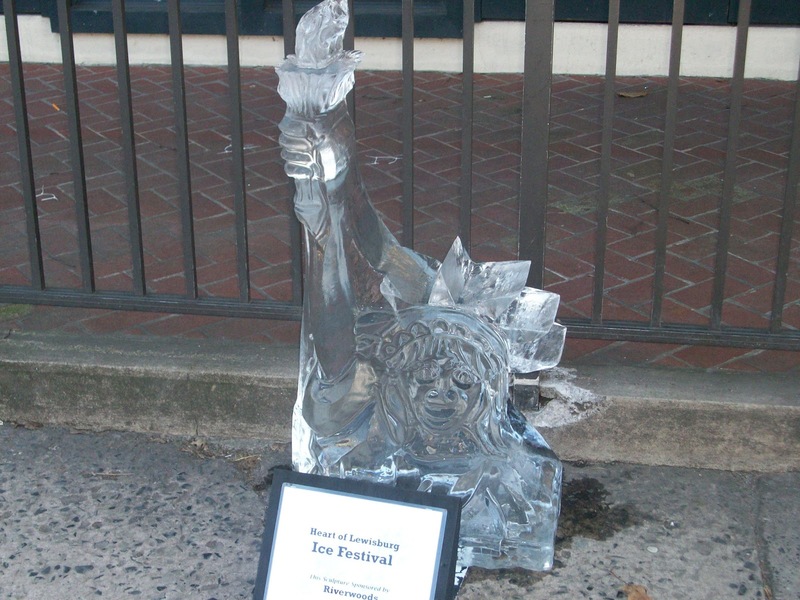 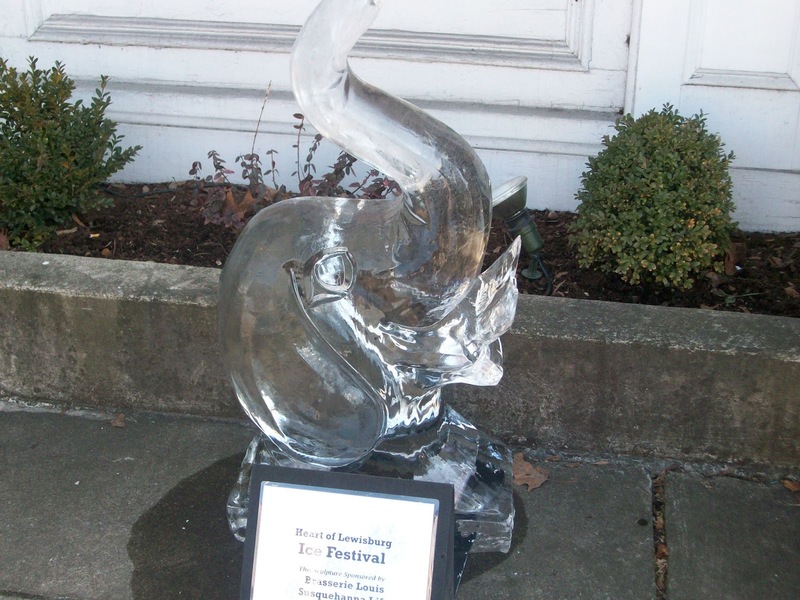 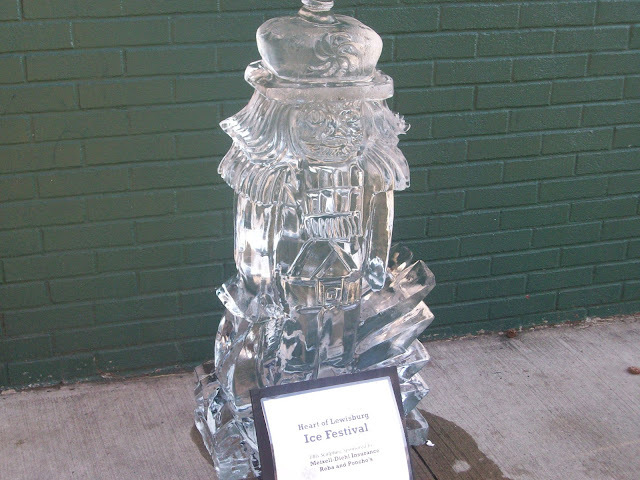 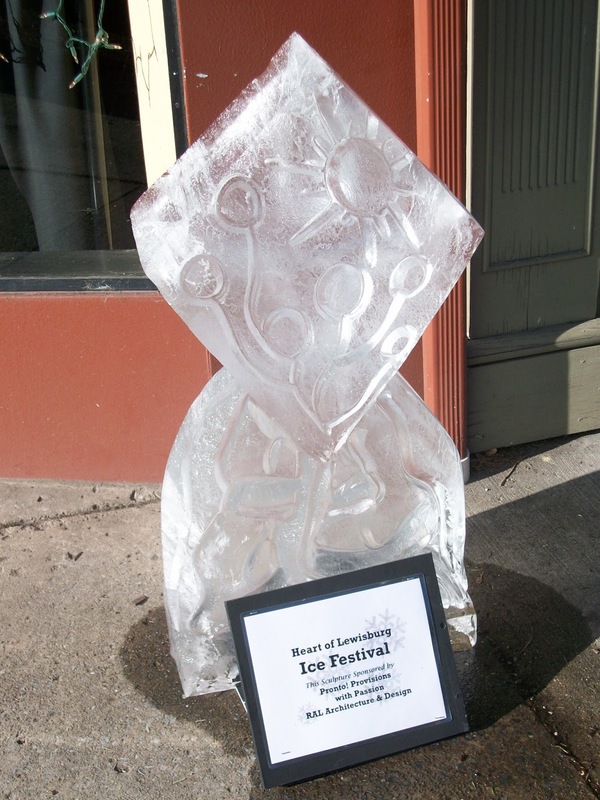 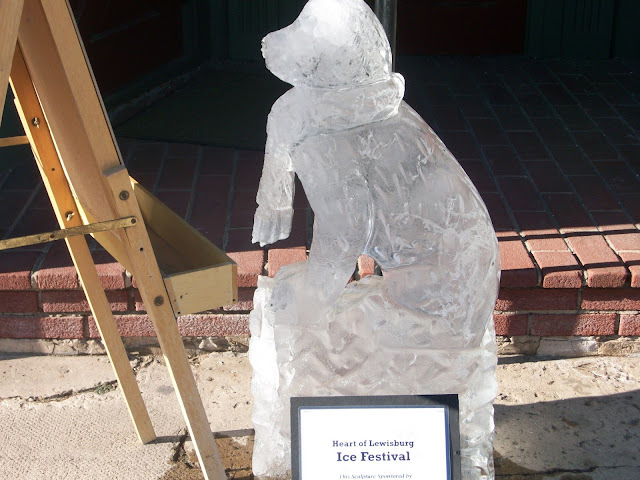 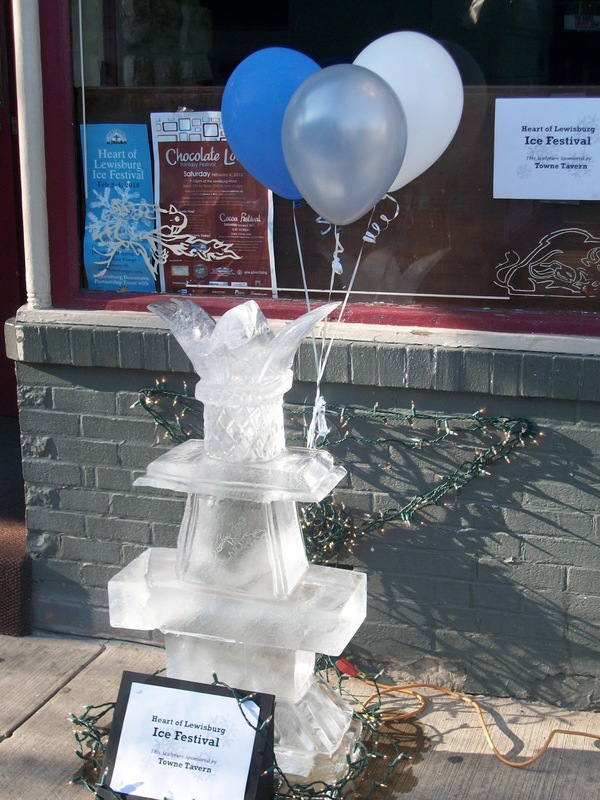 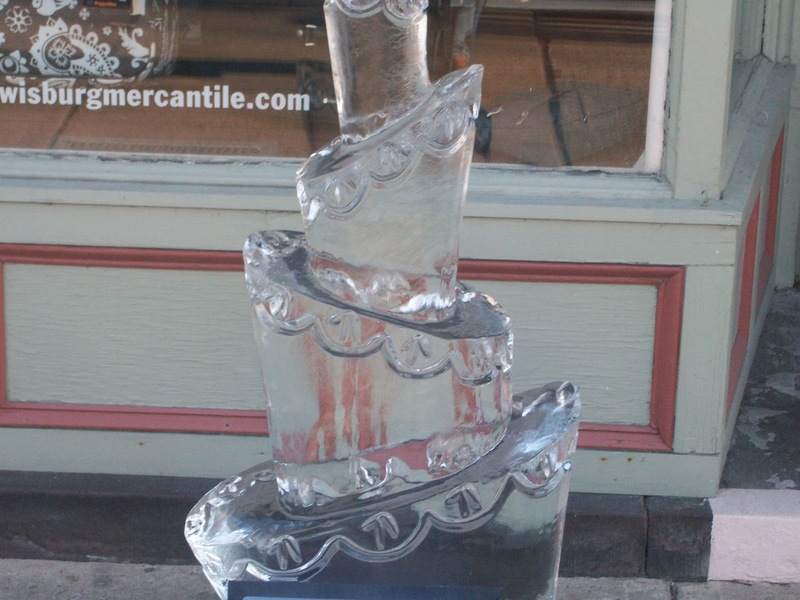 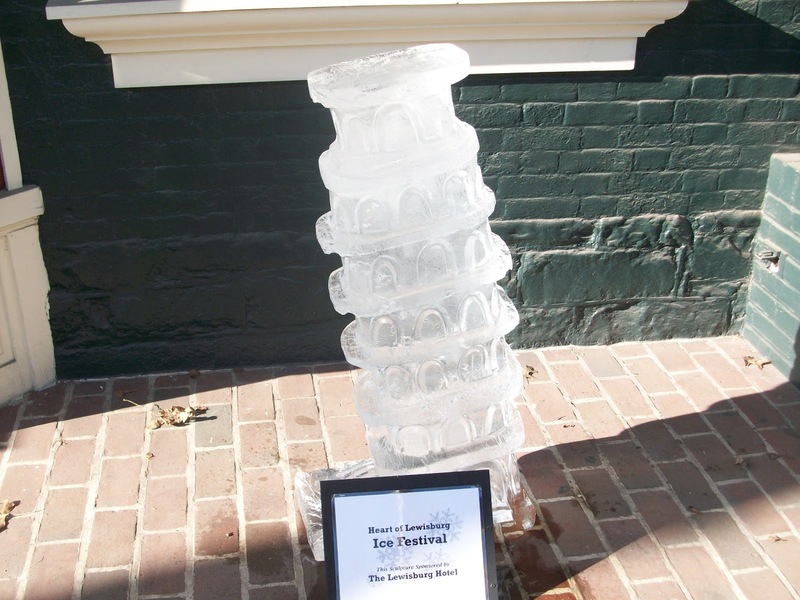 So, next, I will post the pictures of this year's Lewisburg Ice Festival ice sculptures!